Blood work results can help assess function of your immune system, bone marrow, spleen, lymphatic system, liver and the kidneys, while exposing deficiencies in your diet or weaknesses inside the body. They show in how good or how bad condition you are, thereby help you deal with these problems, the right way. What works for one person maybe won't work for another since we are all different. 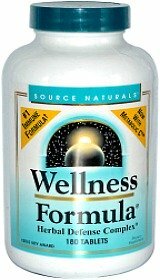 I got sick five time in a period of six months, from october of 2009 to april of 2010 which never happened to me before. This test was done 30.04.2010 which was the fifth time I was sick in this period. As you can see from my blood work results above, my lymphocytes were increased due to infection, while my thrombocytes were a little bit low. Later, I found out that congested liver can result in low thrombocytes which could explain liver pain I was having, during detox. Frequent colds I was having, were consequence of overtraining and bad diet which was based mostly on fruits and vegetables but which was lacking in protein, carbs and fats. Even my cholesterol and triglycerides got very low due to low fat and low carb diet, while my electrolytes and insulin were normal because of the minerals and vitamins rich fruits and vegetables I was eating as well as due to supplements I was taking. To see this other test, check the cholesterol link on the left or just type: "Cholesterol lab results" in the search box, on the right. 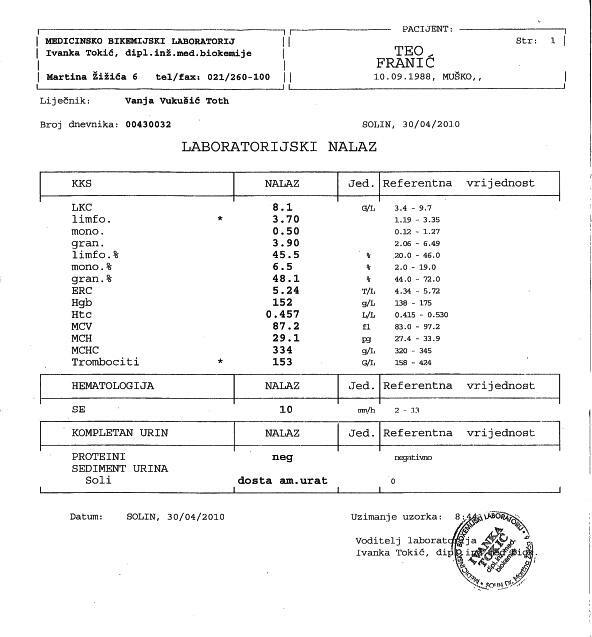 My hormone and cholesterol blood work results which I had to go through several months after this test, were important, too. After I figured out how the body works and was knowledgeable enough to understand what these tests were saying to me, I eventually started changing things. First of all, I switched from jogging to sprinting. However, I still use jogging to warm up and to cool down. Also, I realized the importance of rest and started to watch out for symptoms of overtraining, by paying more attention on to signs that my body is sending to me. When it comes to diet, I included more fats, carbs and protein to my eating schedule, in order to prevent nutritional deficiencies. 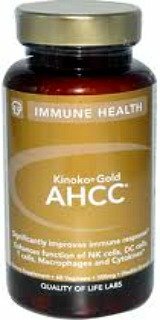 The first supplements I was taking were superberries, Hawthorn berry and fish oil, while trying to get rid of my heart disease. However, as I acquired new knowledge thanks to blood work results, books and internet, I decided to try other supplements. Overtime, I discovered adaptogens, immune system boosters, probiotics, importance of vitamin D during winter, detox herbs and other healthy foods and supplements which work for me. 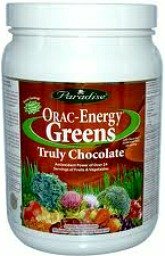 Finding these herbs and supplements in one formula, makes supplementation much easier which is the reason why I love so much ORAC-Energy Greens.